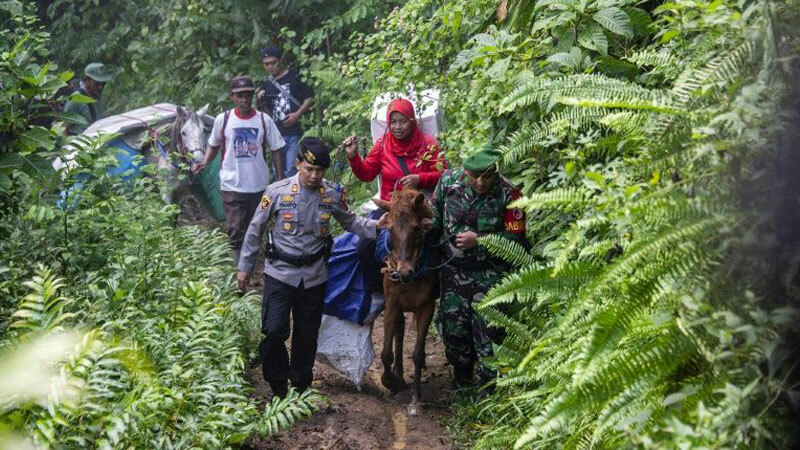 From sending ballot boxes by elephant in Sumatra to keeping voters safe in Papua’s rebel territory, Indonesia is pulling out all the stops for one of the world’s biggest one-day polls across a vast archipelago of 260 million. On Wednesday, over 190 million registered voters in the Muslim-majority country will cast their votes in just eight hours of polling, with the election commission battling torrential downpours, voter fraud and damaging cyber attacks. Calling on four-legged transport, motorbikes, speedboats and planes, officials have been distributing cardboard ballot boxes — guarded by armed security staff — to every corner of the 4,800 kilometre (3,000 miles) long archipelago, which is home to hundreds of ethnic groups and languages. The lightweight ballot boxes — replacing metal ones used in previous polls — are up to the job, Budiman insisted, declaring them to be “very strong”.